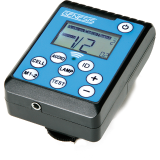 Calumet has released two new lines of flashes with remote power control. 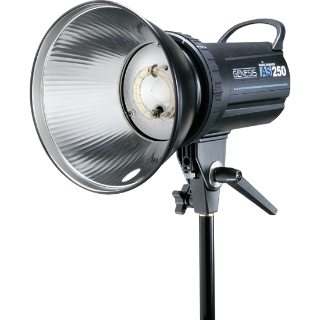 The Genesis AS250 and AS500 are mains-powered studio heads, or monolights, with built-in radio receivers. They are controlled by a camera-mounted transmitter, which can trigger and adjust flash settings from up to 50 metres away. 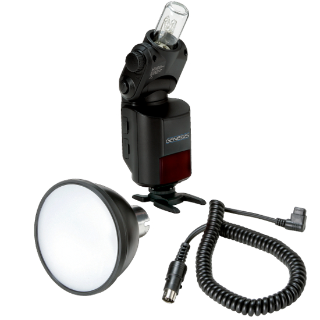 Elinchrom-mount accessories can be fitted and there is a 10-Watt LED modelling lamp and worldwide voltage support. IGBT circuitry means the flash durations at low power (down to 1/64) are extremely quick: as short as 1/8000 second — good for freezing fast action shots. The retailer has also introduced a portable, battery-powered photographic lighting system comprising the Genesis GF200 and GF400 bare-bulb flashes. These have a range of dedicated lighting-shaping accessories available, as well as optional 433MHz remote control (not compatible with the AS-series). In the UK, the Genesis GF-series is priced identically to the Lencarta Atom system, which is the same thing. American pricing for the Cheetah Light and GF200/400 is also very similar, even for bundles. The Genesis AS250 and AS500 cost $199.99 and $349.99, respectively. The optional 2.4GHz Wireless Remote is $49.99. The AS-series does not appear to be available outside the USA. Visit Calumet UK, Calumet USA or Calumet DE for more information. Are you interested in any of this new gear? Share your feedback below.